CCIE being one of the most demanded and prominent networking certifications of Cisco, has proven to be the most talked about certification as well. While the majority of the networking students aspire to become the CCIE Expert, it is imperative to have a clear notion of it in all the aspects. So, we bring the most common and important questions that are thought of and asked by many networking aspirants on the table to help you out. 1. 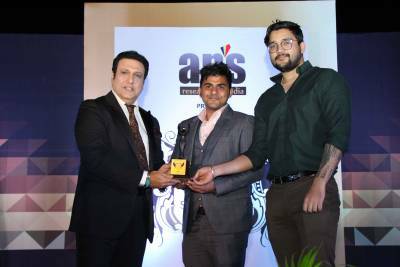 Can a fresher do CCIE and get placed in MNC after that? Yes. In this case, CCIE Training is Career enabler. It delivers the required training and helps the student grow an expert level skillset in the given domain. 99% of our students are freshers. They complete CCIE R&S Training in 7-8 Months and CCIE Security Training in 10-12 Months, after completion of which, they get placed in different companies at different packages depending upon their skillset. 2. CCIE R&S vs CCIE Security. Which one is better for a fresher? One can go in any domain as per their interests. CCIE R&S and CCIE Security have their own share of career paths and possibilities to go onto. But unlike CCIE R&S, CCIE security requires knowledge and skillset of CCNA and CCNP R&S to lay the networking foundation of working before starting Cisco Security training. If compare based on salary packages, CCIE Security is obviously the Highest paid because of the vast content it covers. 3. 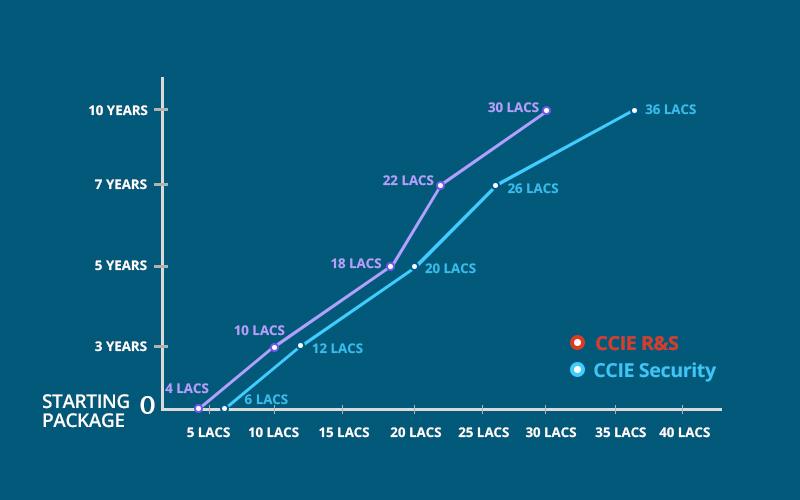 What is Scope and Salary Packages of CCIE Engineers in India? 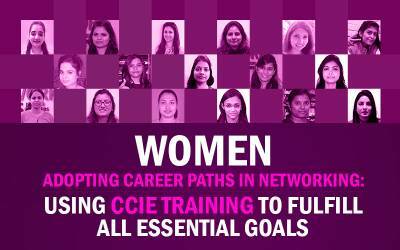 A developing country like India offers a lot scope to CCIE Engineers. With new companies opening every now on then and MNC stretching their leg in India has opened a whole lot of positions in networking profiles. And having very few CCIE Experts to participate, the salary bandwidth is pretty high in almost every profile as per the domain. 4. Should I directly take CCIE Integrated Training or should I take CCNA/CCNP first and then gain some experience before CCIE? Although both ways helps you in achieving CCIE Certifications, however opting for CCIE Integrated Training is better than taking CCNA and CCNP first and gaining experience before CCIE. If you do CCIE right now and the go for a job, your growth will be minimum 5 times faster than CCNA/CCNP candidate. 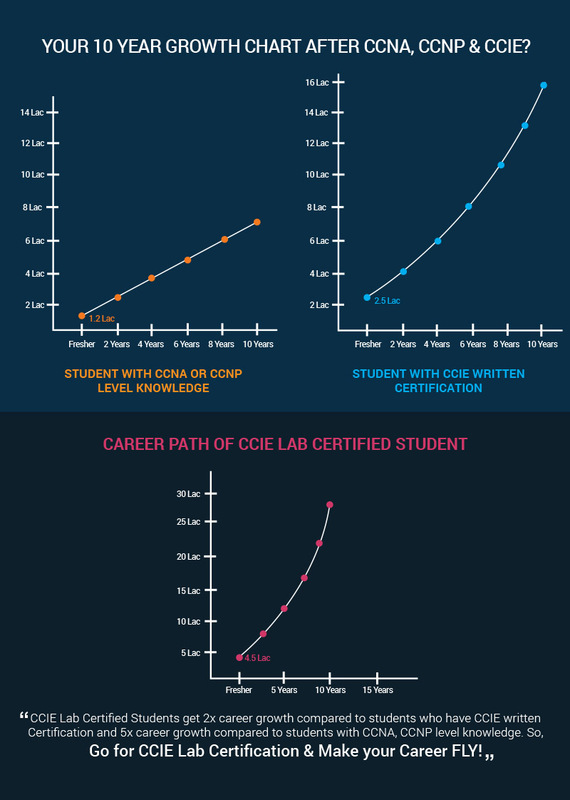 Here's a little comparison of Growth of CCNA/CCNP candidate with growth of CCIE candidate. 5. Is it mandatory to pass CCIE Exams to get Placement from Network Bulls? No. 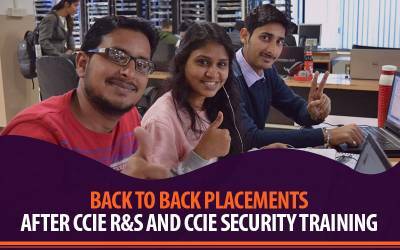 Network Bulls’ students can sit in the placement drive irrespective of their CCIE Examinations. We provide an equal opportunity to all out students. Though certified students have a little advantage here, but in past many years, other students have equally earned their jobs in MNCs with their skills and knowledge. 90% of our students appear for interviews without going for any Cisco exams. 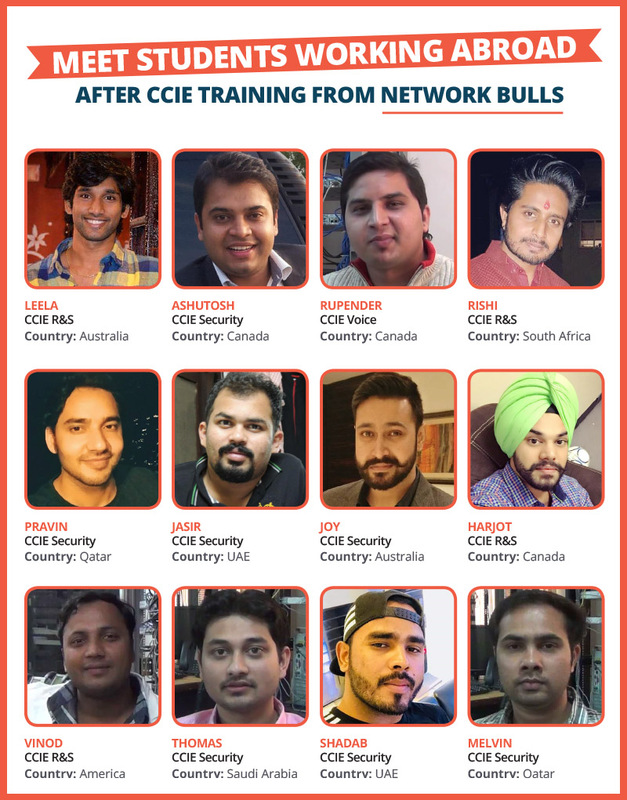 After getting placed, they continue their practice on weekend and then they appear for CCIE exams, after earning some money an precious experience as a Network Engineer. 6. How do we compare career of a Software Engineer vs Network Engineer? We can not compare Career of a Software Engineer with Carer of a Network Engineer because of the huge difference in their Salary Packages, Growth and Competition. If there are 60 students in any IT/CSE batch of Btech, 58-59 students opt for Software Engineering, whereas only 1-2 students per batch go for Network Engineers as a Career. Competition is very high in Software profiles which results into lower growth rate and lower salary packages. Whereas in Networking, competition is very less. Especially in Cisco networking field, demand is more than the supply, which results in Higher salary packages and higher growth rates. 7. Is it guaranteed that I will get a job offer after my CCIE Training? Cisco CCIE Training provides the skillset and knowledge required by any Cisco expert, hence making a professional proficient in the given domain. At Network Bulls, along with the technical training, students get to work on their personality development and communication skills as well. After the overall development, our dedicated placement team helps the students getting placed in their preferred companies. 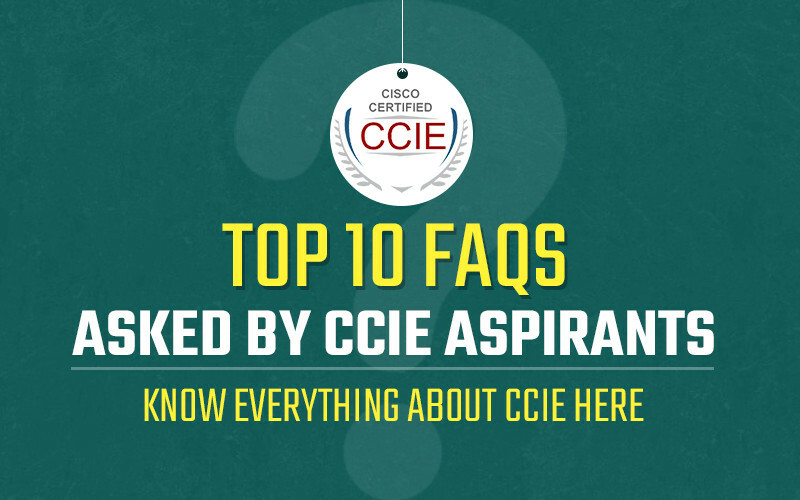 They say even if you have 60% of the knowledge of content covered during your CCIE journey, you are still better in knowledge than CCNA or CCNP candidates. So after learning so much of technical content, you kill the competition for you and getting a job becomes very easy for you. But if you don't study at all, you obviously can not get a job. 8. Can I shift to USA/Canada etc. after taking CCIE Training? The Cisco CCIE Training is not limited to a country. Cisco Systems is a global leader of networking and almost every company uses its router, switches, firewalls and other products for their networking infrastructure. Thus in the growing economy of the world and renowned certification on the resume, it is fairly easy to get a job anywhere. 9. How to recertify CCIE Certification? What if I don’t recertify my CCIE Certification? To keep the significance of Cisco Certifications and networking experts updated on the current topologies and concepts, Cisco has made it mandatory for every CCIE holder to recertifiy for CCIE Certification in every 2 years else the certification stay no more valid. To keep the certification, one needs to pass any CCIE written o lab Examination before 2 years of the expiration date. It is very easy `to recertify. 10. Why should I chose Network Bulls for CCIE Training? Network Bulls is the best Cisco Training Institute there is. With Cisco Certified CCIE Trainers, World’s Biggest Cisco Networking Labs, 24*7 Accessible Labs and dedicated team of trainers, placement teams and lab teams, Networks Bulls has the best success rate of CCIE pass outs and placements. The excellent reviews and the number speak for itself and that us why you should choose Network Bulls for any Cisco Training. CCIE – Cisco Certified Internetwork Certification is the expert level certification of Cisco in all its field, that is, Routing & Switching, Security, Collaboration, Service Provider, Wireless and Data Center. Being the highest level of certification, it is extremely difficult to achieve but nonetheless possible with the right training and dedicated practice. 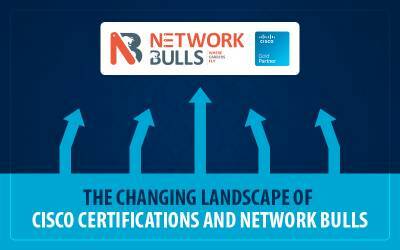 Network Bulls has the highest CCIE Pass Outs rate in India. Having World’s biggest Cisco Networking Lab with a team of CCIE Certified Trainers had proven the records. If you have any more queries or concerns regarding CCIE, please write to us at admin@networkbulls.com.